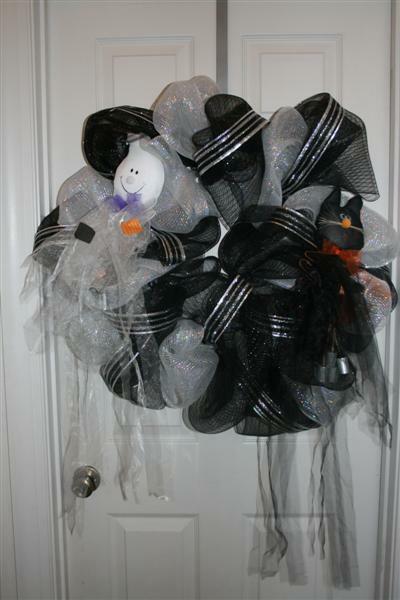 Just enjoy the different homemade Halloween wreaths. 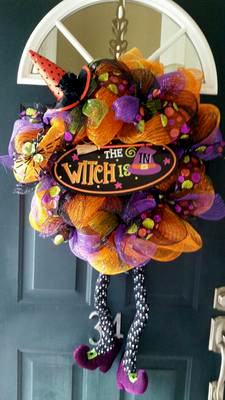 There is no trick to it, get some ideas for yourself or if you have made your own Halloween wreath consider treating others by sharing your wreath in the Halloween Wreath Gallery so others can get some ideas from you. 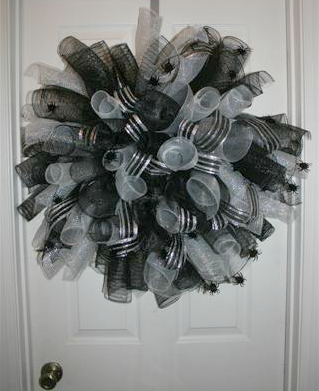 Do you hang a Halloween Wreath? If Yes, is your Halloween Wreath? Ghosts and cats, candy and bats... you never know what you might find. This was my first attempt at making a mesh wreath. I made the wreath using regular mesh and added several different colors of mesh and ribbon in between. The sign, witch legs and hat are from my local craft store. 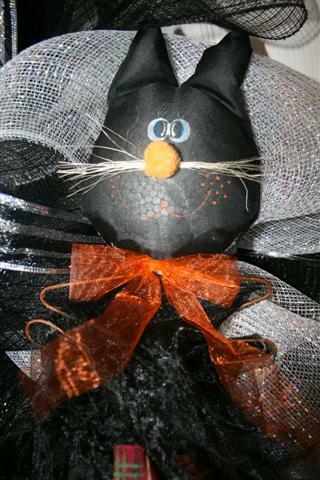 I made this Ghost and Cat Halloween Wreath by alternating black and white deco mesh around a wire wreath form. I attached the mesh with pipe cleaners. 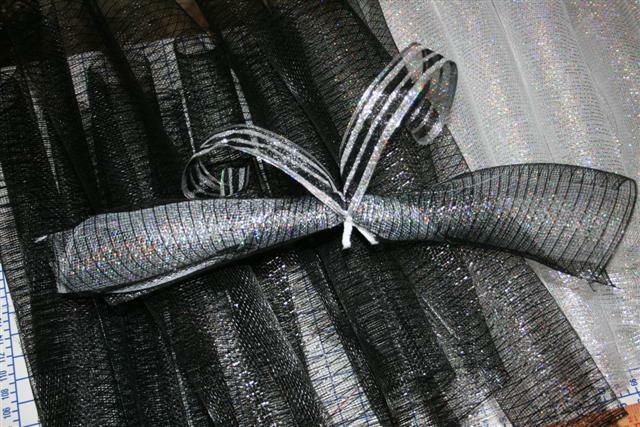 I wove the black and silver ribbon to the black deco mesh after I attached the mesh. TIP: If I were to do it again I would try doing the ribbon at the same time as the mesh. I had it finished and thought it needed something else. 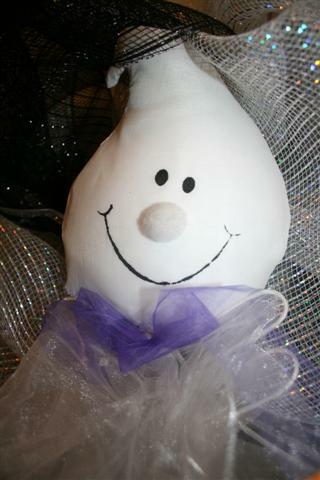 The Ghost and Cat I found at a craft store in the Halloween section and tied them on with some bow string. They are really neat because they have some bells hanging from them so it is cool when you open the door you have a little chime. 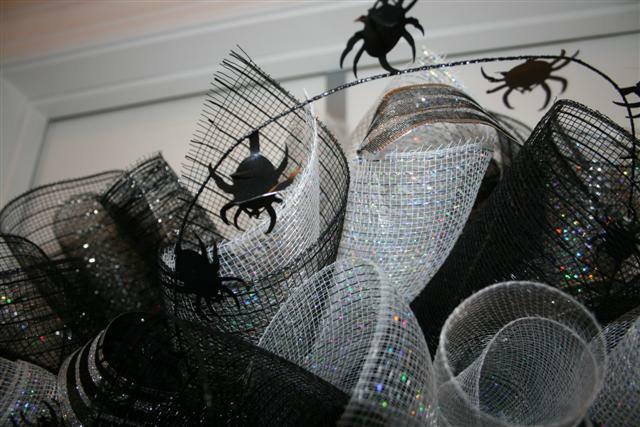 The also had long streamers that hang from the wreath and give it a ghostly look. 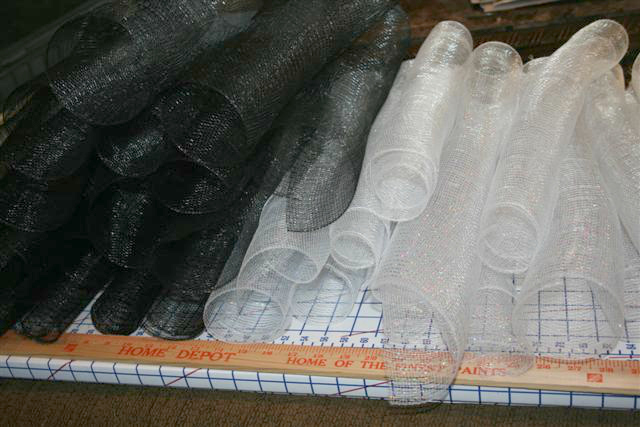 Cut your deco mesh into 12 inch pieces. The natural curl from the roll will be to your advantage. Suggestion: because the deco mesh snags, make sure you work on a hard surface such as a table or I work on a cutting board. Also be careful the clothes you are wearing, do not wear clothes that you could snag. Roll you 12 " strips into tubes following their natural roll, then secure them with a fuzzy stick. To give some dimension I rolled some of the white and black together. A few white in black and some black in white. I cut ribbon about an inch longer than the tube and added the ribbon to all of my double tubes. 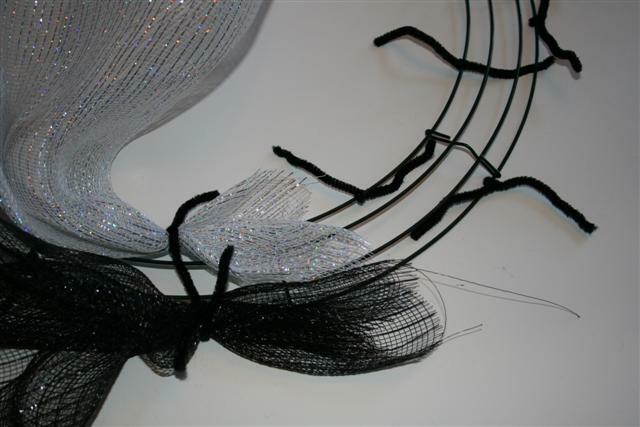 Hint: Make sure you get ribbon that has the wire edge it stands up and is easy to form in your wreath. I used ribbon that was a mesh look so it would blend in with my wreath. 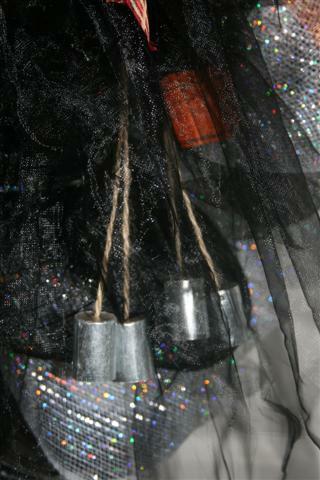 Then attach all your tubes to your wire form alternating the colors as you go around. Once you have all your tubes on you can add any other decorations. I added a garland of spiders. 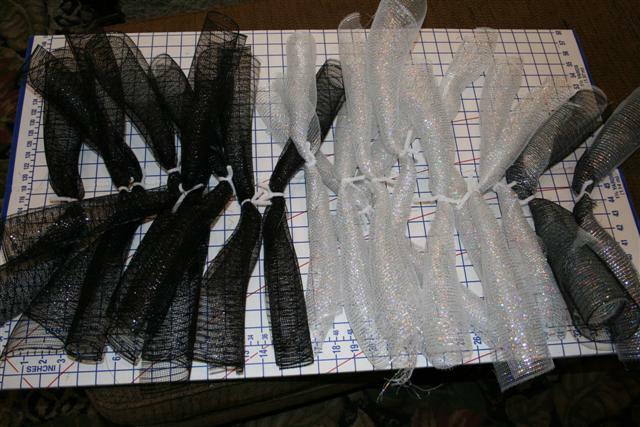 You will work them around and attach the wire to the wire wreath form. I also went back and added more ribbon where I felt it needed a little more filler. Quick Easy and a GREAT project for kids! Foam cut outs are great for all holiday crafts. Detailed instructions. 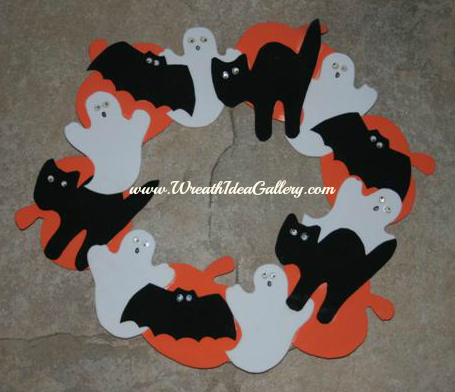 Have you made a Halloween Wreath you would like to share? The Wreath Idea Gallery is a fun place to find and share creative Wreath Ideas! This is the place to SHOW OFF YOUR WREATH! Simple to spectacular we want to see it. 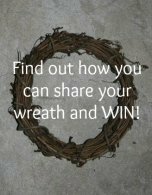 Fun place to find and share creative wreath ideas! TIP: Tell Why you made this wreath, Who you made it for, and any tips and tricks you used, and if you were to make it again would you do anything different? You can upload up to 4 pictures. WREATHS ONLY, NO PEOPLE PLEASE.